Earn $9.59 in VIP credit (959 points)What's This? 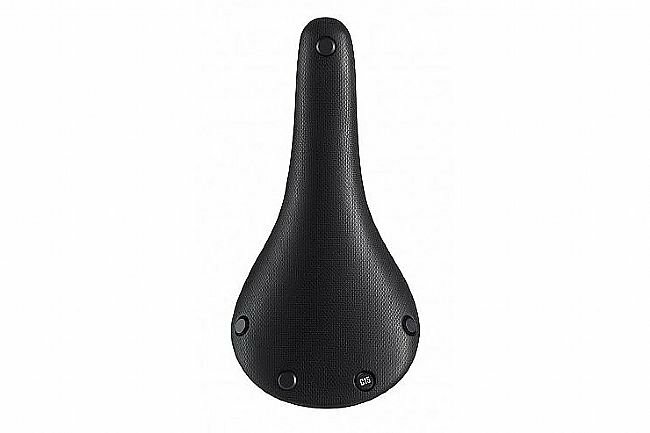 The Brooks Cambium series represents something new for the classic leather saddle manufacturer—this saddle is just as comfortable as a well broken-in B15 Swallow, but it's completely leather-free. Made instead of vulcanized natural rubber and organic cotton canvas with a waterproof coating, the Cambium is perfect for or anyone who's wanted to try a Brooks but been put off by the break-in period and the maintenance involved. 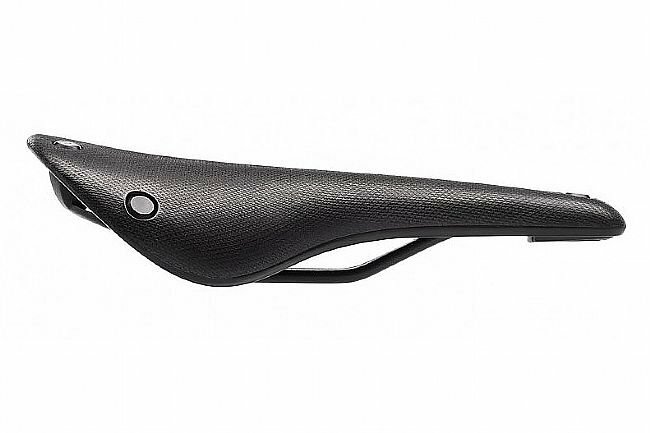 You'll never have to condition, tension, or break in this saddle—right from the get-go, it's ready to go the distance. 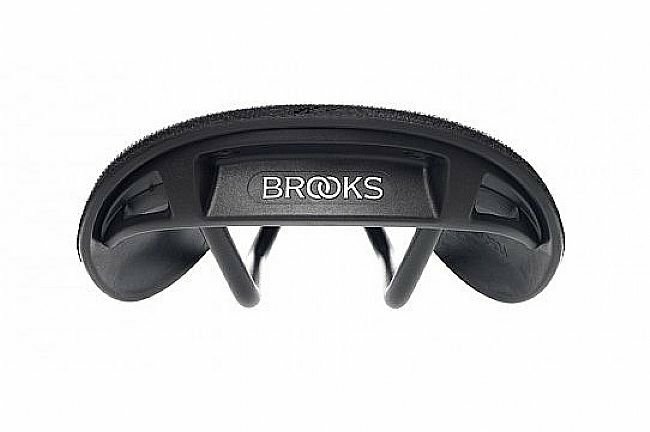 Brooks saddles have been preferred by long-distance bike tourists and endurance riders for generations, so when we say go the distance, we mean it. The C15 All Weather is modeled for sport and race rider, much like the B15 Swallow, with a narrow profile and lighter weight. The uniquely flexible rubber construction is durable, maintenance-free, and instantly comfortable. The natural rubber provides a naturally weather-resistant saddle that will stand up to seasons of use. Weatherproof nylon cover blocks out rain or snow. Die-cast aluminum structure. Tubular stainless steel rails mount to a fiberglass case, featuring loops for mounting saddlebags or lights. Assembled from replaceable parts with no special tools required for servicing, the saddle's frame can be repaired in the event of an accident. 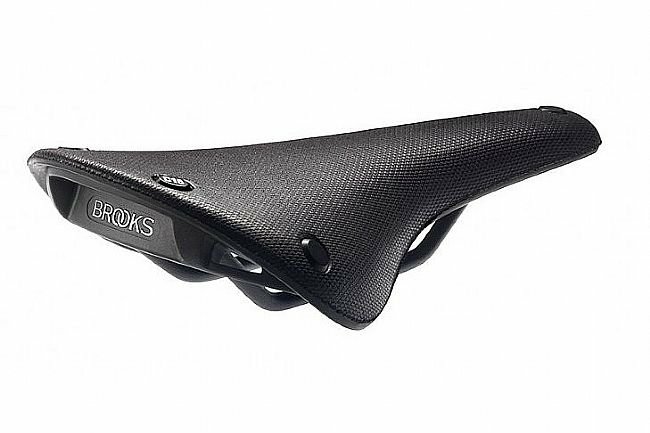 Just like Brooks' classic leather saddles, the Cambium is made for life. Love this saddle ! I bought two ! Great saddles ! it takes a little time to find your sweet spot thru micro adjustments ,once you do its magic ! Firm fore and aft where you need it yet compliant where you want it , plus looks killer ! Very fast shipping from BTD! And best price !